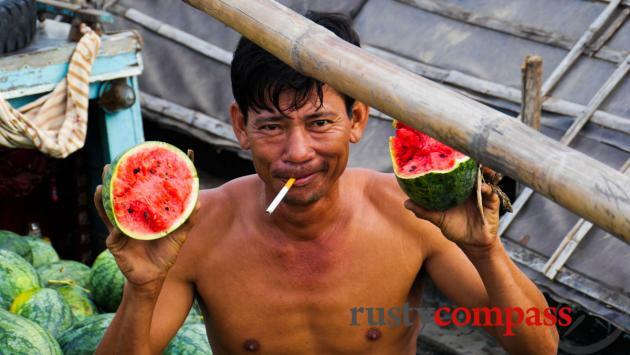 An independent travel guide to Mekong Chau Doc with candid reviews and recommendations. No sponsored content, no advertorial. The Mekong at Chau Doc. 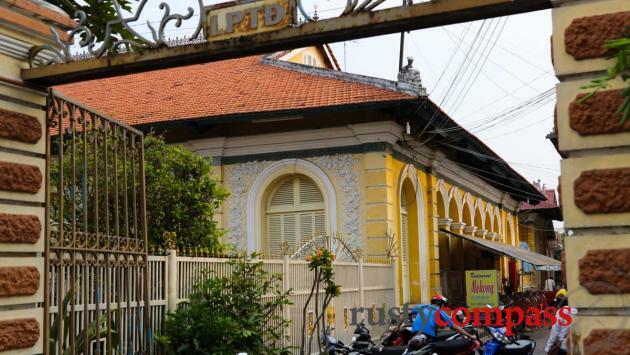 The early twentieth century colonial style former residence of the chief Nguyen Dynasty official in Chau Doc. Delicious fruit, Chau Doc market. 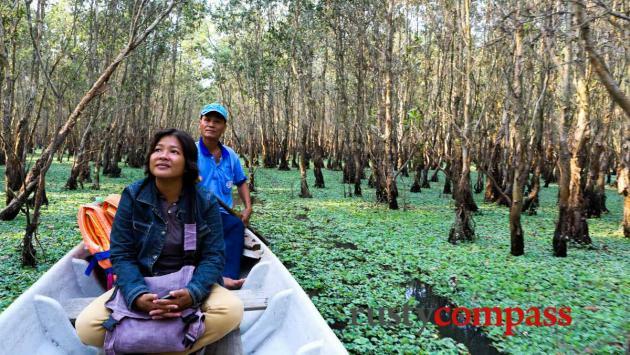 Chau Doc, located on Vietnam's Mekong river border with Cambodia, arrived on the tourism map back in 2000 when the border crossing opened to travellers for the first time. A tiny Mekong River cruise business to Phnom Penh was born along a route that three decades prior was wracked by war. 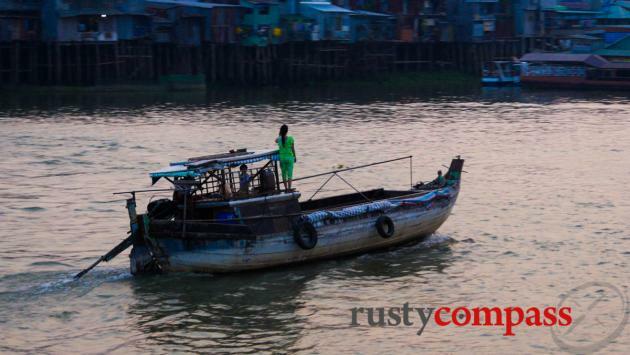 For most travellers, Chau Doc was a brief overnight stay. 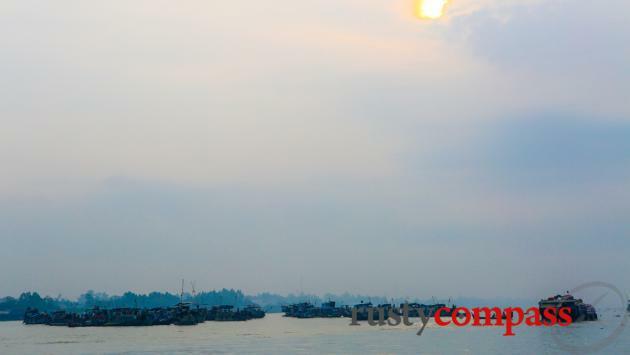 Mekong cruising is now a booming industry. Small speed boats still carry travellers on a budget. And there are larger river cruise ships providing a much higher level of comfort to travellers. For cruise ship passengers, Chau Doc is a fleeting visit. But if you're travelling independently, it's worth a full day of exploration. Chau Doc is one of the Mekong Delta's most interesting towns and it still feels off the main tourist trail. 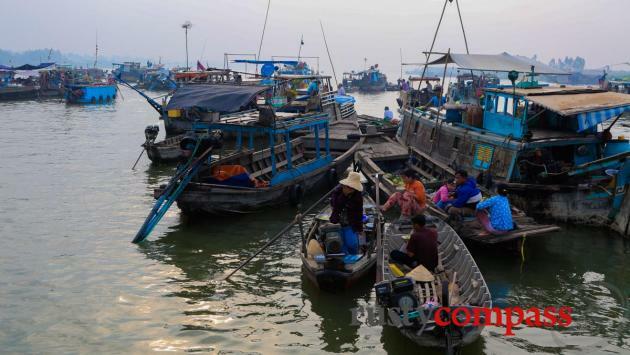 It's one of the most ethnically diverse places in Vietnam with substantial Khmer, Cham and Chinese communities complementing the Vietnamese majority. The town still has a very local buzz too. 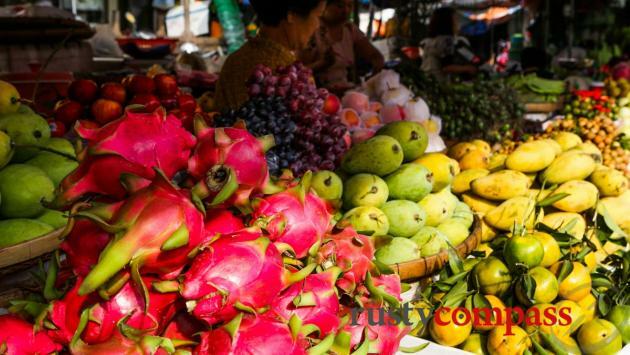 The market, one of the largest in the Mekong, is packed with delicious, exotic delta produce. And you may well be the only foreigner wandering through. 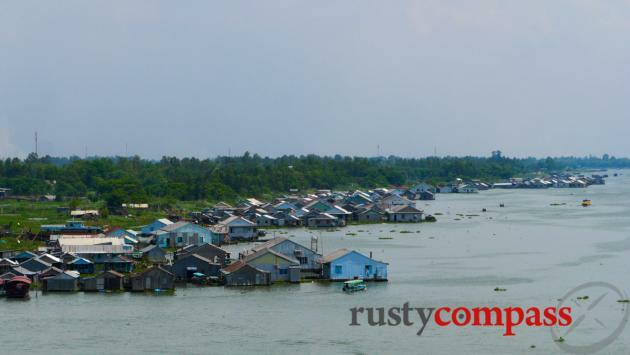 Across the river, the Muslim Cham and Khmer communities at Chau Giang give the area a distinctive richness. While proximity to Cambodia explains the Khmer presence, the Cham, normally associated with provinces around Nha Trang and Phan Thiet, are remnants of the once mighty Cham civilisation that occupied southern Vietnam before becoming hemmed in by the southward expansion of the Vietnamese and the Khmer empire to the west. 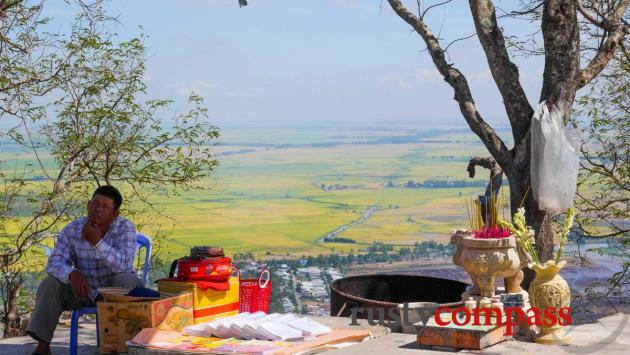 In the end, centuries ago, both the Cham and the Khmer lost out to the Vietnamese and these communities in Chau Doc are the descendants of those historic shifts. There are presently thought to be around 200,000 Cham people living in Vietnam and the community around Chau Doc is one of the largest. 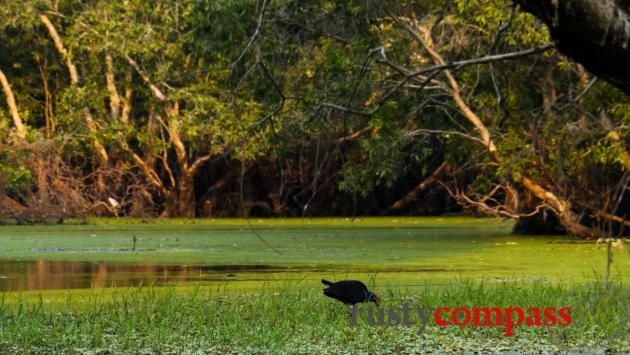 There are also large communities of Cham in Cambodia. Also just outside of Chau Doc is Sam Mountain - a place of pilgrimage for Vietnamese Buddhists. It may not be much to look at from the afar but during the wet season, it provides some of the best sunsets in Vietnam. 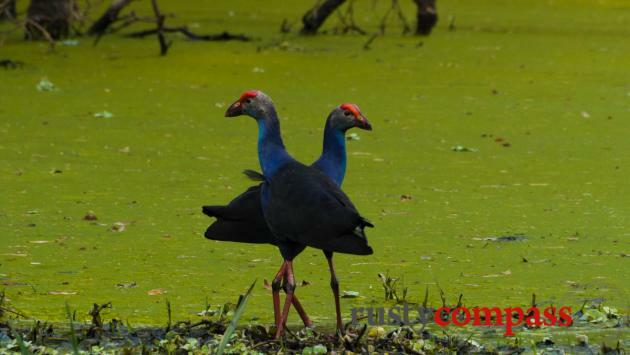 Around 25 kms away is Tra Su Bird Sanctuary which is a surprisingly serene and beautiful place.